Apologies for the long wait between posts! My grant period has officially ended, and so I was occupied finishing up some archival work the last few weeks. I’m now back in the United States. My next stop after Los Angeles will be Chicago, and then I’ll be moving to the Bay Area to start at Stanford University. 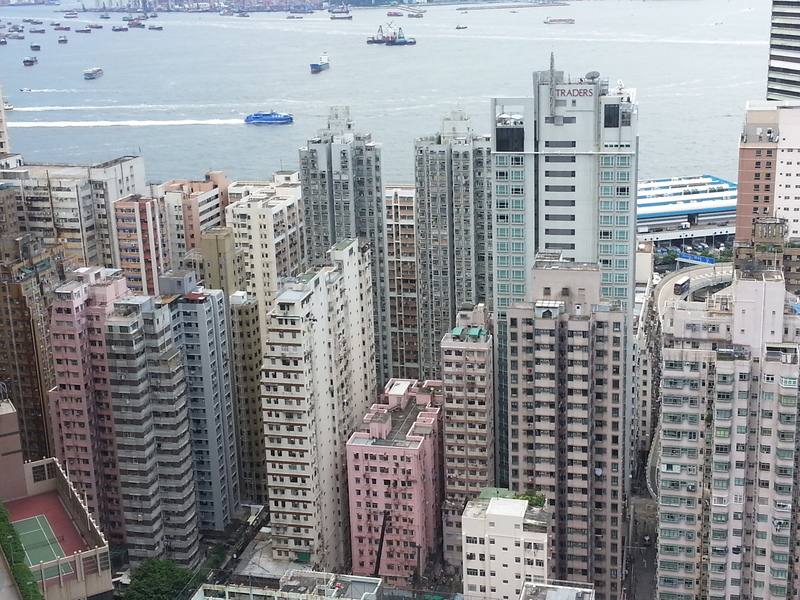 In the time between now and starting school, I’ll be going through some of the documents I got from Hong Kong and sharing some of the more interesting tidbits, especially those relating to ethnic minorities in the city (Indians, typically, since most of the documents I was looking at are about the pre-1947 period when Pakistan didn’t exist as a state yet). 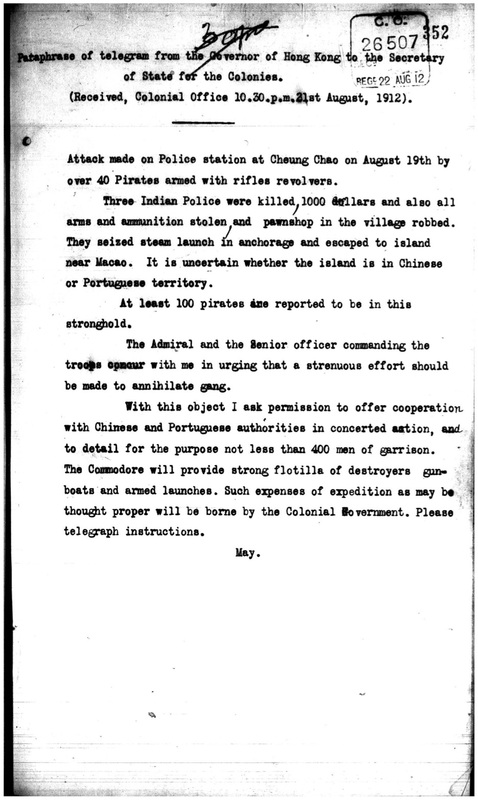 So here’s a starter: A gunfight between 40 pirates and the Hong Kong police on the island of Cheung Chau 長洲 from August 1912. Click on the image to enlarge. Enjoy!